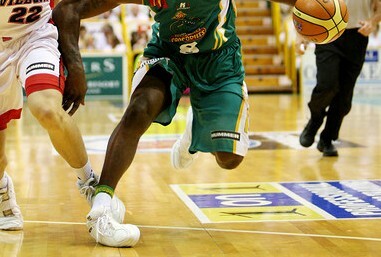 Ankle sprains are very common and occur across all sports and frankly, across all walks of life. 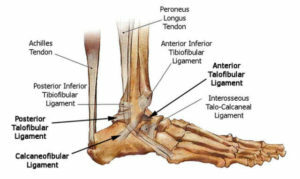 Almost 80% of ankle sprains are of the “inversion” nature. Inversion is basically the motion when you “roll” your ankle. We see people that roll their ankle off of a curb or out in the yard as much as we see athletes who land awkwardly from a rebound or struggle to plant correctly in a soccer game. The expert sports physical therapists at SSOR are here to help you get back quickly and safely from an ankle sprain. So let’s talk about the how’s and why’s of this injury. 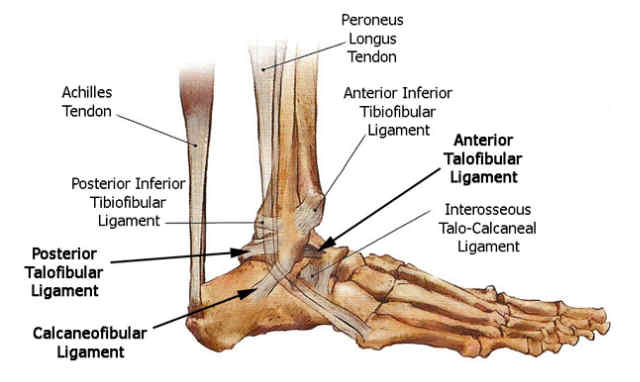 Depending on the severity of the sprain, the most common ligament injured is the anterior talo-fibular ligament. With more severe sprains, the calcaneofibular ligament gets sprained as well. It is worth noting that you can also suffer a “high ankle sprain” or syndesmotic sprain. These are a little different that your typical rolled ankle and we’ll chat about them in a different post. What is the cause of ankle sprains? Most inversion ankle sprains occur when you “roll” the ankle some way, like we described above. As a result, there is lots of pain and often an inability to walk without a limp. Do you need X-rays after an ankle sprain? Ankle sprains are an injury that get way too many X-rays. Granted, it’s good to be cautious, but many people sit for hours in an emergency room waiting for an X-ray that many times is unnecessary. The Ottawa Ankle Rules are a reliable method of determining if an X-ray is necessary. In general, if you are able to walk, even if it’s a little painful, there is likely not a break. Plus, there are specific bony spots that are exquisitely point tender that may indicate a fracture. Try coming to see one of our physical therapists first before you sit in the ER for hours. It’s great – in Kansas, you can see a physical therapist without a physician referral. Maybe. If you are limping around, then you should. Limping creates more problems and delays proper healing. You may not need two crutches, one may do the trick. The key is no limping. FYI – if you use one crutch, it should go on the OPPOSITE side of your injury! Yes, it’s true. Confusing? Think of it this way – the door handle is always far away from the hinges. Same concept. You may think we’re a little biased, but this is a resounding YES! Without rehab, the ligament heals improperly, you won’t have your full strength and balance, and may not even get your full motion back. Even a few visits to learn the best exercises are a good idea. The problem is that 70% of people who have an ankle sprain develop chronic ankle instability. Chronic ankle instability can really limit even daily activities, let alone recreational ones. 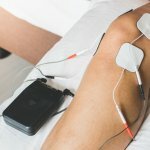 People with chronic ankle instability sometimes have trouble rolling their ankle randomly or even walking in the house. Range of motion exercises. You should start with just dorsiflexion and plantarflexion first (pointing toes down/up). Once that motion returns, then begin side-to-side. Doing side to side motion too early may stretch out the healing ligament. Strengthening exercises for the ankle muscles. Hip strengthening. Many physical therapists miss this critical aspect of ankle sprain rehab. Multiple studies have shown a delay in muscle activation and weakness immediately after an ankle sprain. You have to do exercises to strengthen the gluteals. Balance exercises. Once a ligament is damaged, the proprioceptors on the ligament which tell your brain about balance, are impaired and need to be re-trained. Manual therapy/mobilizations to the ankle. There are a few critical mobilizations that your physical therapist should do to restore ankle mobility. Many fail to do this resulting in long-term deficits and recurrent sprains. Progression to functional activities. At SSOR, we have a specific, detailed progression on return to impact and running activities. Walking pain free is not enough. You need to be progressed from activities that are front/back, side-to-side or lateral, then twisting motions and you should be taken through a functional testing progression as well to determine physical readiness. 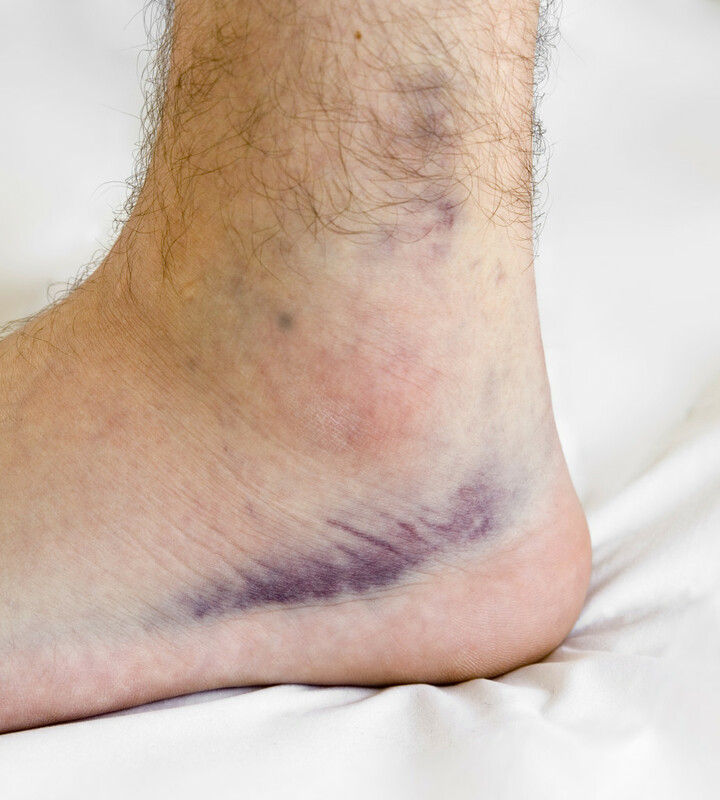 Ankle sprains are painful and can severely restrict functional capabilities. What is more, not properly treating them increases your risk of re-injury almost by 20x that of those that haven’t had one! Physical therapy is critical, even for a few visits, after an ankle sprain to help avoid these from happening again. Let the sports rehab experts at SSOR help you get back on your feet and back to life. It would be a privilege to serve you and partner with you in your care. We have locations in Overland Park and Prairie Village to serve you.